UK bodybuilder Richard Gozdecki has become world natural bodybuilding champion for the second year in a row – and has thanked fitness and health supplement OXYfit for helping give him the winning edge. 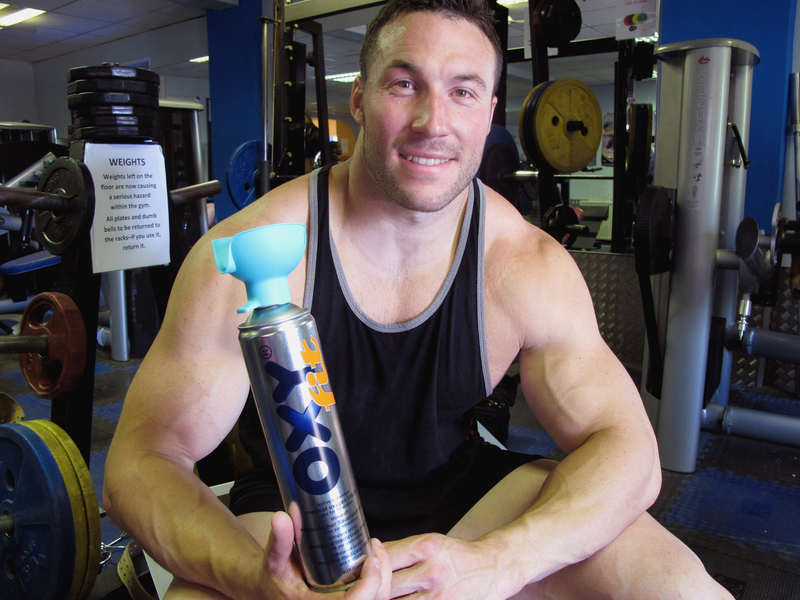 OXYfit, the UK's first oxygen-in-a-can fitness and health product, is designed to extend periods of optimal training. It is used by a wide range of sports people, plus health and fitness fans, including runners, rugby players and footballers. It gives athletes the confidence of knowing they can train harder, train for longer and achieve more during intense workouts, accelerating improvement. OXYfit is also an increasingly popular health supplement, helping even the least sporty people overcome tiredness, depression, headaches and poor immune function.